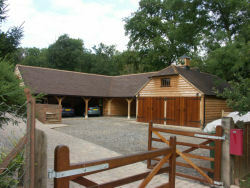 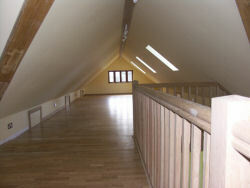 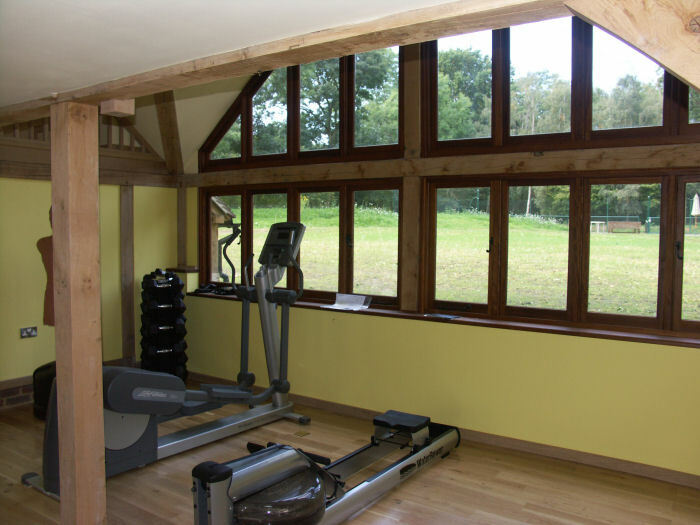 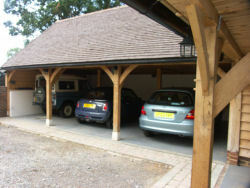 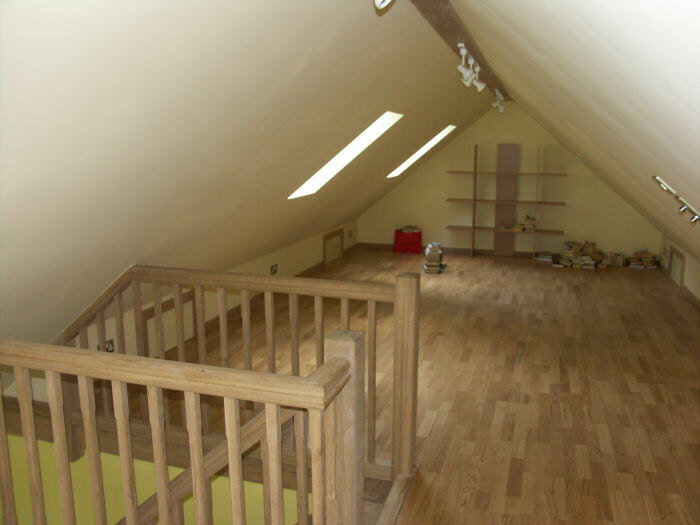 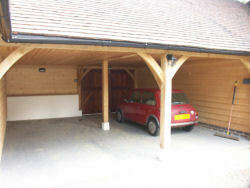 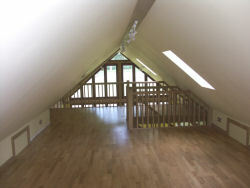 A group of timber framed buildings to form 5 car ports a quadrouple garage and gymnasium on the ground floor. 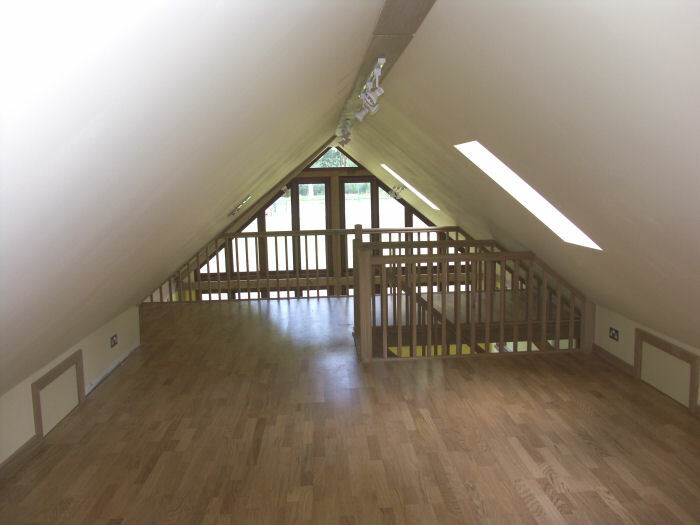 The roof space provides a large amenity space as an occasional office and recreation area. 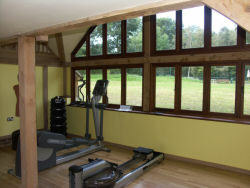 view from the back garden showing the galleried windo to the gymnasium. 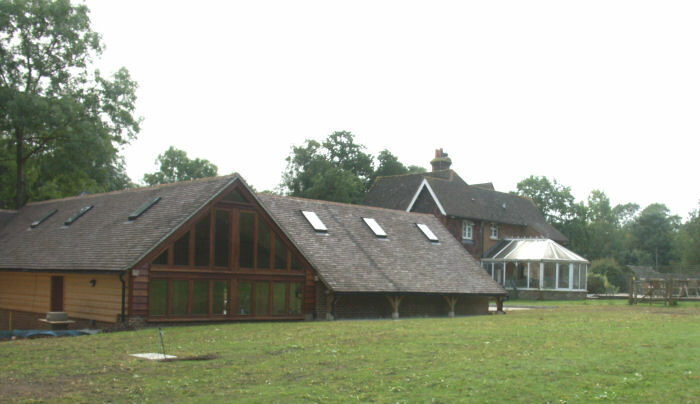 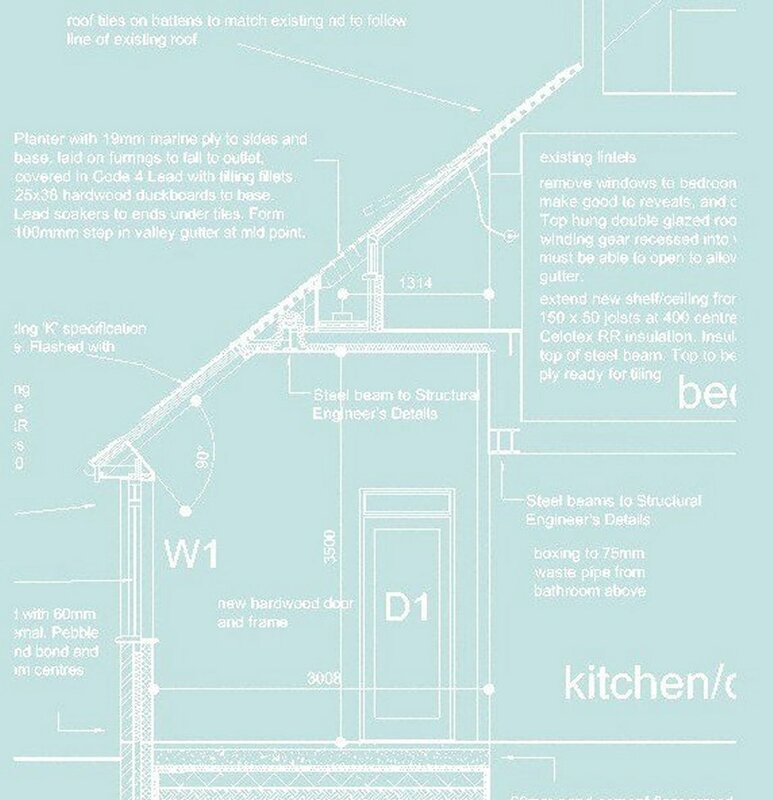 Note that the building is sunk into the gorund which allowed an advantageous use of the permitted development rules.